Draft beer equipment provides style, convenience and sophistication to your Bergen County bar or estblishment. With top notch and high-quality draft beer equipment, you can make sure clients feel relaxed, and offering beer is a neat and clean experience. Whether it's direct draw or remote draw, picking the right type of draft beer equipment is the real key to realizing the true importance of draft beer. Just about all Perfect Pour Draft Beer work within Bergen County, New Jersey begin with a Cost-free on-site analysis and quote. Perfect Pour Draft guarantees customer service of the installation 100%. Therefore the project will be done in a organized to the specifications instructed. We shall return to pour your first beers to insure your system is Excellent and that all parts are fully understood by the management staff. 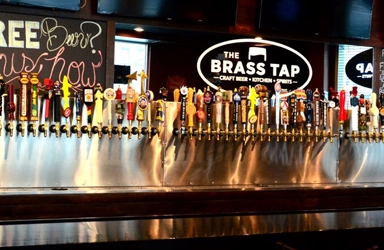 Draft Beer Installation in Bergen County has never been easier. If you manage small quantities of beer day-to-day, the direct draw system is probably the suitable fit for your esablishement. Direct draw draft beer systems perform best with kegs and could be set up inside the bar walk-in fridge or commercial keg box. Our Bergen County beer Installation is quick and easy, and the convenience the equipment provides is priceless. Remote draw draft beer system is ideal for large volume beer bars and restaurants. The good thing with this type of system is it can easily be put in quickly inside the bar's walk-in cooler. The beer will put in special hoses straight to the taps at the pub for dispensing. The system is easy to install and will guarantee a cleaner beer serving experience, without diminishing on quality while conserving space at the same time. With Draft Beer Installation within Bergen County, your telephone call is treated with the focus, service and performance it deserves. Your feeling is of significance to us, and with our comment and follow up policy, we'll ensure you remain comfortable while using our equipment. You can phone us or submit our online form and we will answer immediately. At Perfect Pour Draft, our aim is to deliver Bergen County and the New York tri-state area with the best quality beverage equipment in the marketplace. Our expertise in the industry makes us understand the need of seamless draft beer installations in maintaining the productiveness of business. Call us today, or complete our online form to arrange a free written draft beer installation quoted price. Bergen County Lead Draft Beer Installation Services. Everyone wants a good partner operating a business. We are your all time friend for all bar needs. At Perfect Pour Draft, we are even more of a partnership than business. 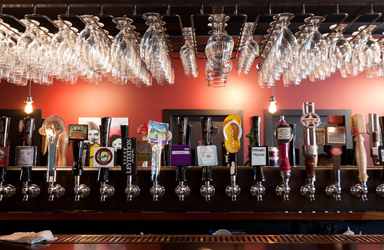 We're armed to offer the finest when it comes to draft beer systems in Bergen County. Ours is the superior quality draft beer installations, the best quality beverage equipment and the preferred beer line cleaning in the field. You just need to work with us and have a great experience time and time again. We realize that any service provider must brand themselves from the services they provide in order to get more customers. We're well known for the installation, servicing, and maintenance of draft beer systems in Bergen County and around the New York tri-state area. The following are a number of the explanations why we stand out. We have in excess of 25 years of draft beer installation and repair experience. We utilize all the experience we've gathered over years to serve our esteemed customers. We are proud of every project we complete. Our services are open to both the well-established and upcoming entrepreneurs. 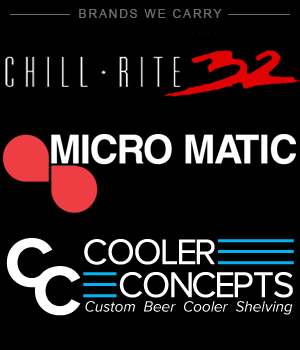 We are the most preferred installers in Bergen County and through the New York tri-state area for both Chill-Rite and Perlick draft beer systems. 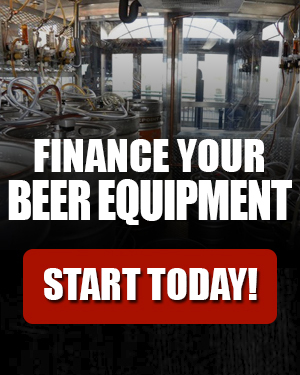 You too can rely on our draft beer installation team within Bergen County for all your draft beer equipment needs. We make sureyour draft beer system is designed and put in beautifully for your estblishment in Bergen County and everyday needs. Someone managing the same business as you do will likely realize all your needs. From our established bars and restaurants, we all know what is best for you. We take pride in assisting you to increase your profits and minimize the waste to keep the funds flowing. Our company offers an affordable loan program to enable our Bergen County clients have all the installations available even at the most crucial times and when they cannot raise the required amount. This stops you from making use of all the hard earned money and let the company pay for the installation from your revenue. 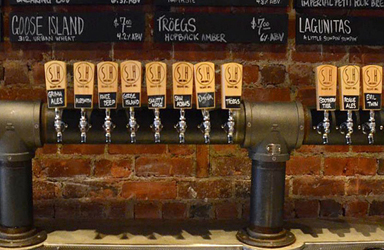 Top Bergen County Commercial Draft Beer System. 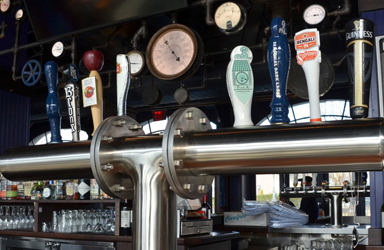 For additional information about our commercial draft beer system, telephone (914)447-4926 to connect to a draft beer system industry expert. Have you ever discovered your bartenders pouring down pints of foam to customers and not knowing how much they’re actually pouring down the drain? This can be avoided if you call Perfect Pour Draft. 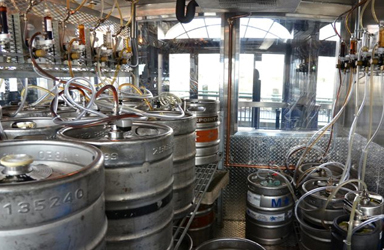 We’re always available in Bergen County to clean your beer lines. 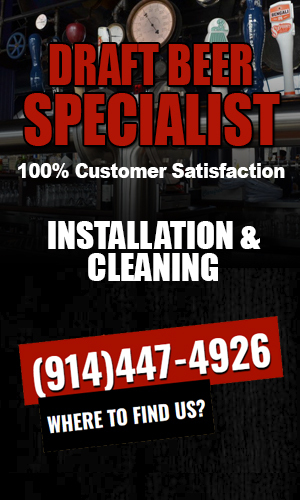 When you need to have your draft beer lines cleaned, you can trust Perfect Pour Draft cleaning Bergen County specialists to be onsite each and every two weeks. Our draft beer cleaning technician are taught to use warm water/caustic chemical mix to clean the lines, a cold water flush of the caustic chemical, take apart the faucets and cleaning them diligently before re-filling lines with beer. Every twelve weeks our Bergen County cleaning techs take down all fobs and keg couplers clean them with caustic chemical mix as used to clean the lines. You can always count on Perfect Pour Draft for maintenance services within Bergen County weekly and/or bi-weekly. Phone 1-914-447-4926, to arrange your appointment with Perfect Pour Draft today in Bergen County, New Jersey.